EE is hoping to get to the top of people's Christmas lists by offering the Alcatel One Touch Pop 7S tablet for £99 with a pay as you go contract. This is a fair bit cheaper than EE's own 4G offering, the EE Eagle, which costs £199 on PAYG. Billed as the "UK's most affordable 4G tablet", the Alcatel One Touch Pop 7S comes with LTE connectivity, a 7-inch screen, a quad core Qualcomm 1.2GHz CPU and 1GB of RAM. It ships with Android Jelly Bean, but this will be updated to Android KitKat once you've turned it on. What good is a 4G tablet without a data connection? The £99 Alcatel One Touch Pop 7S deal coincides with EE's Christmas promotion offering all customers who buy a new pay as you go smartphone or 4G tablet 100MB of free data each month. The promotion kicks off today, and for 4G tablets ends on the January 31 2015. Any tablet bought during this time is eligible for the free data and according to EE no top up is required and there are no other catches. The Christmas promotion ends a bit earlier for smartphones, as we'll only have until December 28 to buy the handsets. 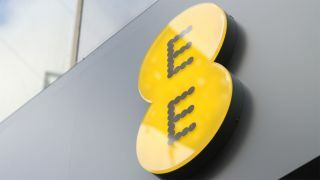 Whilst 100MB of 4G data might not seem like too much a bit of extra data for free is always welcome, with EE suggesting that customers can use this 100MB for four hours of online shopping during the January sales.